Is Genre a Tool or a Trap for the Screenwriter? This essay will seek to examine the concept of film genre. It will explore its definition and the advantages and disadvantages of how genre theory can help/hinder the screenwriting process. It will mainly, though not exclusively, draw upon examples from the science fiction genre. genre (n) a category of artistic, musical, or literary composition characterized by a particular style, form or content. When used in the context of film audiences, genre can mean “a buying device that viewers use, consciously or unconsciously, to help them exercise choice over the kind of films or programmes they watch” (Costello, 2002, p24). Quite simply, genre is used by filmgoers to help them decide which films to see and which to avoid. With this in mind, studio-marketing departments target audiences by marketing their movies based on genre. This gives the impression that genre is nothing more than a convenient labelling system between studios, distributors and the cinema audience. When film theorists talk about genre however, the term can be a little more complicated to interpret. One definition is to think of genre as “a group of films among which can be identified a recognisable series of conventions for characters, plots, locations, audience responses, mises en scène, themes and structures” (Butler, 2005, p114). However, there are no hard and fast set of rules to help identify this “recognisable series of conventions”, although various systems have been developed to sort stories according to their shared elements. In his article “A Semantic/Syntactic Approach to Film Genre” (1986), Rick Altman put forward one such system when he theorised that films could be classified on either their semantic attributes (“definitions that depend on a list of common traits, attitudes, characters, shots, locations, sets and the like”) or their syntactic attributes (“definitions that play up instead certain constitutive relationships between undesignated and variable placeholders”). These various systems differ in which elements to compare (be it setting, theme, mood, target audience) which adds to the difficulty in categorization and, with specific regard to science fiction, fuels the argument as to whether sci-fi is a movie genre in its own right at all. McKee defines sci-fi as a “supra-genre…created out of settings, performance styles, or filmmaking techniques that contain a host of autonomous genres” (McKee, 1998, p83). Or, to put it another way “SF is less a genre in terms of story and more of a genre in terms of arena” (Hay, 2008). Taking Alien (Scott, 1979) as an example – visually, the movie contains a lot of the elements generally associated with sci-fi movies – set on a spaceship, in deep space, in the future, with a malevolent alien foe. Yet it also contains narrative elements more commonly associated with horror movies (specifically slasher horror) – an isolated group spilt up and search a creepy building only to be picked off one by one by a murderous antagonist. Similarly, Star Wars (Lucas, 1977), while visually a sci-fi movie, also contains many characteristics of the classic Western – the saloon (Mos Eisley cantina), the gunslinger (Han Solo), even the bad guy and the good guy (Darth Vader and Luke Skywalker) are clad in a variation on the “black hat/white hat” motif. In fact, many movies classified as sci-fi are, when more than just visual elements and setting are taken into account, actually genre hybrids: the sci-fi/western of Outland (Hyams, 1981); sci-fi/comedy of Men In Black (Sonnenfeld, 1997); sci-fi/romance of Starman (Carpenter, 1984), etc. In short, sci-fi is a genre ripe with visual motifs and conventions against which the stories of other genres can be told. This “mixing of genres” will be discussed in detail later. Some may argue that writing to genre “stifles creativity”. That by adhering to the visual motifs, iconography, and narrative elements, which define the writer’s chosen genre, he will merely produce a piece of work exactly like that which has gone before. This will hold true as long as the writer views these genre elements as a checklist of things, which must appear in his writing. Genre is no replacement for story or structure or, most importantly, originality. As Truby (2009) says, “the biggest reason a [script] reader turns down a script is because it is derivative”, when the writer produces a script which “hit all the beats of the genre, but nothing more”. McKee (1998) argues that, rather than stifle creativity, the imposed boundaries of genre (or Creative Limitations as he calls them) can inspire the imagination. When a writer is given carte blanche to write with abandon, ignoring genre expectations, he risks producing a sprawling, rambling work which, while certainly unique, may lack the tried and tested emotional resonance of a genre piece. McKee theorises that the principal of Creative Limitations “calls for freedom within a circle of obstacles”, forcing the writer to come up with original and unique ways to relate familiar things, the challenge being to “keep convention but avoid cliché” (McKee, 1998, p91). A writer must understand his chosen genre not only that he may know what to include in his writing, but also that he may know which genre conventions have become clichéd and therefore should be omitted (the hard-assed old gunnery sergeant in war movies), which conventions are a necessary element (audiences would expect a crime to be committed early on in a crime movie), and which conventions can be sympathetically subverted, e.g. arming the main combatants in Star Wars (Lucas, 1977), not with laser guns (a sci-fi movie staple), but with swords instead (albeit laser swords), a change which also compliments the movie’s mythic undertones. Genres, and their conventions, do not stand still; they change and evolve reflecting the changes in our society. In the 1950’s, science fiction movies often saw the human race menaced by some hostile alien race and/or monster, exploiting the suspicion and paranoia of the cold war. 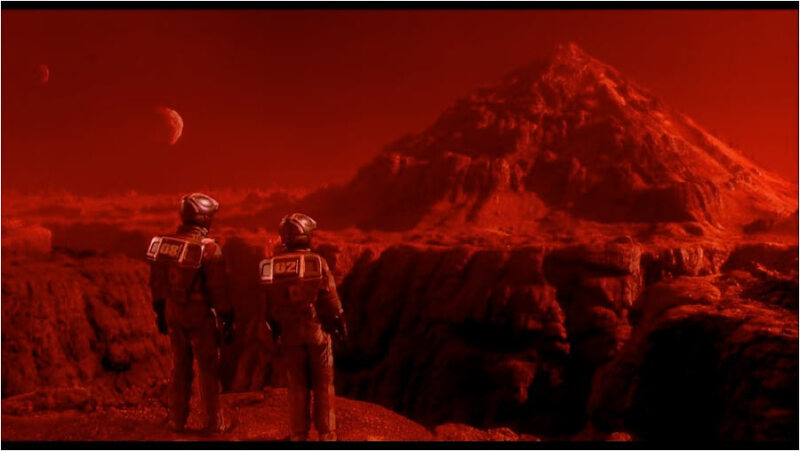 In the 1970’s, science fiction movies provided commentary on contemporary issues such as social decline (A Clockwork Orange (Kubrick, 1971), Mad Max (Miller, 1979)), environmentalism (Silent Running (Trumbull, 1972), Soylent Green (Fleischer, 1973)), or women’s lib (The Stepford Wives (Forbes, 1975)). 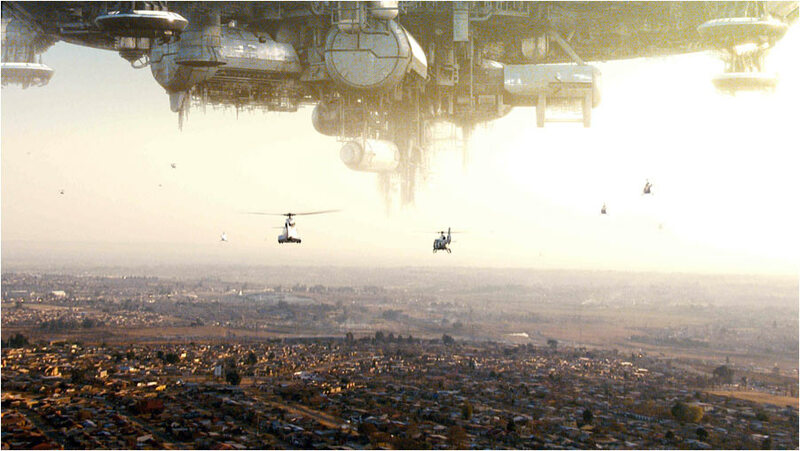 Contemporary movies also explore the social issues of the day such as the loss of civil liberties (V for Vendetta (McTeigue, 2006), Minority Report (Speilberg, 2002)) and racial intolerance (Children of Men (Cuaron, 2006), District 9 (Blomkamp, 2009)). While the stories, settings, and characters are all different these films have enough commonality, be it a future setting, space travel, aliens, to be classified as science fiction movies demonstrating that it is possible to write a unique and compelling movie within the confines of genre which has an emotional resonance with the film going audience when addressing current social issues. As mentioned earlier, a common view of the sci-fi genre is that it can be thought of more as a setting or “supra-genre” within which other stories can be told. While there may be some narrative and thematic commonality between sci-fi movies, ranging from the recognisable – “the central character is an innocent bystander who is victimized by a technological accident or an unnatural phenomenon of another world” (Dancyger/Rush, 2002, p83), to the vague almost to the point of redundancy – “the central character may or may not overcome the challenge of the antagonist” (Dancyger/Rush, 2002, p83), traditionally sci-fi is a genre which defies syntactic definition. It is a hybrid genre which mixes it’s own powerful semantics with the syntactic elements of other genres. But, given the visual nature of the film medium, it is the semantic elements of a movie which perhaps best serve to define its genre at least in the eyes of the audience, e.g. a film set on a spaceship will, regardless of its story, almost certainly be labelled as a sci-fi/something movie, such is the strength of visual motif. “Such genres as the crime film, science fiction and the western are defined by setting and narrative content” (Grant, 2007, p23). This mixing of genres is not unique to sci-fi, the rom-com for example – a subgenre in its own right – combines the genres of romance with comedy. And it is this cross-pollination, which is increasingly being sought after by the film industry. Truby’s reasoning that “the most important story strategy today is to mix genres” (Truby, 2009) seems born out of pure economics – “It all goes back to the age old rule of selling: give the customer 2 or 3 for the prices of 1” (Truby, 2009). While McKee takes a more creative view – “Genres are frequently combined to resonate with meaning, to enrich character, and to create varieties of mood and emotion” (McKee, 1999). Whilst twisting a recognised genre motif can freshen up a familiar story, the combining of genres can have a dramatic impact on the story itself. And, given the parasitical nature of the genre, sci-fi lends itself particularly well to genre blending: sci-fi/noir of Blade Runner (Scott, 1999); sci-fi/horror of Frankenstein (Whale, 1931); sci-fi/action of Total Recall (Verhoeven, 1990). The mixing of the sci-fi and horror genre can be particularly effective due to their often similar themes of a “fear of the unknown”, while some genres may be too thematically dissimilar to effectively merge, e.g. a tender love story would be difficult to tell within a film noir setting. To the writer, genre can be both a tool and a trap depending on how it is used. If the writer views all the motifs, themes, and tropes of his chosen genre merely as a template, a shopping list of things which must be included in his work then he will in all probability produce a hackneyed script, heavy with cliché and stereotype and lacking originality (unless the narrative of the piece is both unique and strong enough to allow the reader to forgive the trite). “Genre should be a guide, not a straightjacket” (August, J, 2006). The visual motifs can be used as a shorthand way to establish the genre of the film, to meet audience expectation and to get the audience “on board” at the earliest opportunity, e.g. if a film has been marketed as a Western, the audience is surely going to expect to see a cowboy pretty soon. A writer needs to understand the information and/or emotional response that can be conveyed to the audience by the motifs and iconography of the genre. Also, by understanding which elements of the writers genre have become clichéd and which are mere tropes, the writer can pick and choose which elements to include or, just as important, omit from his script. A working knowledge of genre allows the writer to intelligently subvert motifs and conventions, thus breathing new life into the familiar and in doing so keeping the audience entertained without feeling alienated or, as McKee puts it, a writer “must not only fulfill audience anticipations, or risk their confusion and disappointment, but he must lead their expectations to fresh, unexpected moments, or risk boring them” (McKee, 1999), e.g. have a series of murders investigated, not by the “standard” grizzled small town police chief, but by the amiable, heavily pregnant Marge Gunderson in Fargo (Coen/Coen, 1996). Finally, by understanding a variety of genres, a writer can synthesis them to great effect, generating a new and surprising narrative. While altering a recognised motif can have an effect on the story, mixing genres can impact on the actual story itself. The mixing of genres is perhaps the most important reason why a writer should appreciate the importance of genre. As Grove states, “It is no longer good enough to write a good single genre film. Hollywood does not buy single genre films” (Grove, 2001, p32). When it comes to genre writing – ditch the clichés, update the tropes, focus on originality. Butler, A. M. (2005) Film Studies. Pocket Essentials. Grant, B.K. (2003) Film Genre Reader III. University of Texas Press. Dancyger, K. Rush, J (2002) Alternative Scriptwriting: Successfully Breaking the Rules. Focal Press.